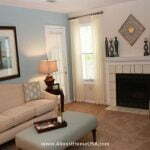 Almost Home offers a wide variety of Smyrna, GA corporate housing options for every short or long term furnished apartment need you may have. Contact us today to receive a temporary housing quote customized just for you in your desired area of the city. We wish to help familiarize potential newcomers to life in Smyrna and therefore provide the following informative summary of various aspects of this city. Take a few moments to acquire the knowledge of a long-time resident before you arrive. Those staying in corporate housing in Smyrna, GA for business reasons might appreciate some information about the city’s business environment. Smyrna has a diverse economic history and stable economic base that primarily encapsulates the workforce that reside in the area. With Atlanta merely 10 miles away, Smyrna is a cost effective location for the workers to commute to work within the city. The demographic here is predominantly middle income and, as such, one of the economic drivers in this city is the middle income real estate and housing market. Construction is also a major economic driver in the city at the moment, however this is not foreseen to last to much longer as the number of lettable units is reaching its point of saturation. However, the rental market and the existing home sales market is picking up, in the post recession economy. Retail and convenience shopping is also a tax base contributor in the area. There aren't many shopping malls in the area and most retail is conducted in Main Street style stores and strip malls. There is some corporate activity here in Smyrna that act as an inexpensive satellite to Atlanta. Some of the corporate activity in Smyrna includes Glock, the weapons manufacturer, IBM and United Distributors. Knowing what clothing to bring with you to your Smyrna, GA furnished apartment is somewhat dependent on the local climate. Smyrna is humid for most of the year and is dominated by a subtropical climate. Summers experience hot temperatures that range between 73º and 90º between April and October with the highest temperatures experienced in July. Precipitation is highest during these months due to the strong thunderstorms occurring in the warmest months. Fall temperatures average a high of 73° in October, then continues to cool down to lows of 34° in January. 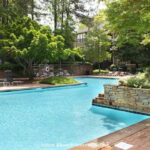 So, be sure to dress right and then venture out of your Smyrna, GA corporate apartment to enjoy the wide variety of outdoor activities that this area offers. 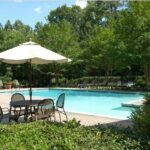 Being a temporary resident in Smyrna, GA corporate housing need not relegate you to feeling like a complete outsider. Acquaint yourself with Smyrna’s history by reading our brief historical summary provided below. The Original inhabitants of the area before the European settlement were the Cherokee. When the area came under the United States, the Cherokee were originally left alone but once the Federal Government had realized the value of the gold after its discovery they began efforts to move the tribes off the land. Smyrna which sits in Cobb County was fully a part of the Cherokee Nation. A treaty to remove the tribes was planned but had not been commenced when the state began organizing lotteries for the land that was legally and morally part of the Cherokee Nation. Once the lots of land were given away, the Cherokee were still on their land and the problem began to get complicated. In 1832, the state the Georgia Legislature proceeded with its intentions and unilaterally claimed the rights to the land. It turned out that the Cherokee Nation land was too large to effectively manage, and so it was divided up in to nine separate counties, one of which is Cobb County where Smyrna is located. The Western and Atlantic Railroad began construction in 1836 stretching from Chattanooga, TN cutting right through Smyrna and on to Decatur. The terminus was eventually built, much later, in Atlanta. The arrival of the railroad that gave Smyrna residents direct access to these to cities resulted in additional growth and prosperity of the new town. Davinci's Pizzeria on Spring Rd. : A straightforward pizza parlor with fresh ingredients and quick service. They have a long list of fresh ingredients and have fresh dough waiting to be popped into the over daily. They are also good with making things spicy, if you like it that way. Their sides are extensive as well, from Chicken Alfredo to salads and bread sticks. Jack's New Yorker Deli on Atlanta Rd. : An authentic New York style deli with all the bells and whistles. They serve a popular Chicken Philly Sandwich as well as a Peachtree Pastrami. The popular items on the menu include the Shrimp concoction. They are open from breakfast, at 7am to dinner at 9pm. Muss & Turner's on Cumberland Parkway: They are considered a specialty food deli because of all the hard-to-find ingredients that you won't always come across in the other delis. Try all the different pickles they have to offer and maybe go for the popular Tuscan Raider. Roy's Cheesesteaks on Highlands Pkwy SE. : The cheesesteaks here are very similar to the ones that you would find in South Philly. They come loaded in the typical Philly rolls and are full off flavor. They have free refills on the drinks and lunch is never more than ten bucks. Tacos La Villa on Cobb Pkwy. : They offer a wide selection of salsas at the salsa bar and that compliments the tacos and all the other things they offer at this authentically Mexican restaurant. The meals are cheap, even below five bucks at times. The environment is clean and the staff and other patrons are friendly. Stepping out of your Smyrna, GA temporary housing is bound to present you with numerous interesting activities. We have listed a few possible entertainment options that may appeal to you. Park: Tolleson Park is a great way to get a workout and some fresh air. There are tennis courts and a wall for practice. There are also baseball fields and beach volleyball. There is also a public pool. It is kid friendly and open at sunrise and close at sunset except for the tennis courts that are lit. Museum: The Museum of Aviation on Hwy 247 just outside Smyrna has three hangars full of aircraft that are in excellent display condition. There is also a building that has flight simulators. It is located just outside Robins AFB and have a number of volunteers from the base. Entrance is free. Golf: The Fox Creek Golf Club and Driving Range located Indy Hill Rd is an inexpensive course that is a great way to build up one's game. It is a forgiving courses that makes it a pleasant time out. The driving range is popular and features an elevated driving area that gives full view of the ball's landing. 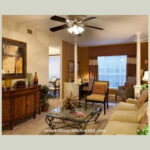 Whatever your reason for visiting Smyrna, Almost Home Corporate Housing is your best choice to provide you with a furnished apartment in Smyrna, GA that is perfectly tailored to meet your unique housing needs. Call us today to receive a quote or fill out our simple housing request form at the top of this page. We serve the entire Smyrna area including Dobbins Air Force Base, Sandy Springs, Atlanta Metro.